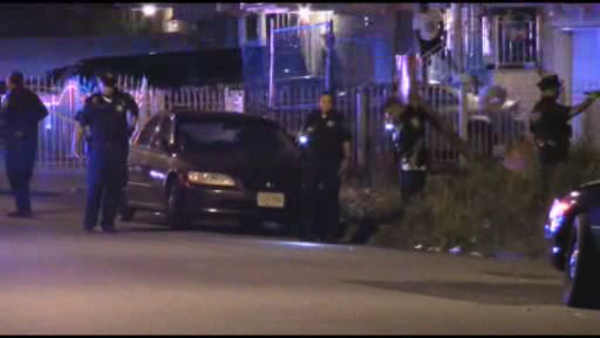 NEWARK, New Jersey (WABC) -- Police have arrested three suspects after a pair of drive-by shootings in Newark. One occurred on South 11th Street and the other on Seymour Avenue. One person was shot but is expected to survive. A car was found riddled with bullets. Authorities say they have recovered a gun. The motive for the shooting is not yet known. No suspects have been arrested.